Dawn M. Lindner has been with Brown & Kelly, LLP since 2005, and as one of our Paralegals, is the Litigation Medical Coordinator. 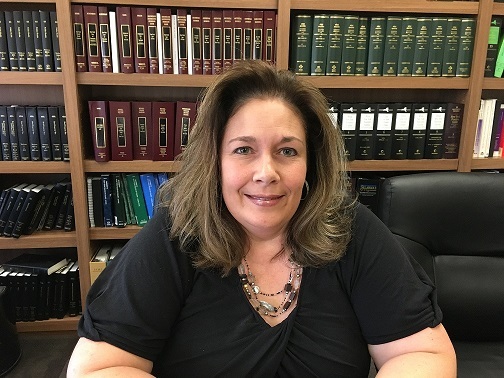 She works with various attorneys in the litigation department handling all aspects of gathering the necessary treatment records, marshaling the records for Independent Medical Exams, and preparing medical analyses. Dawn also assists in preparing the attorneys she works with for trial by subpoenaing records and assisting with the compilation of trial notebooks. She assists in the Asbestos Department and is an assistant to one of our firm’s partners, Kevin D. Walsh. 1. Dawn was born in Buffalo, but has lived in both Florida and Georgia and plans to retire to Georgia when the time comes. 2. Her favorite seasons are spring, summer and fall. She tolerates winter only because she has football to watch, which gets her through the winter months. Go Bills!!! 3. Dawn’s biggest accomplishment is being the proud mother of a 17 year old son, who is a senior in high school! 4. Her hobbies include: reading, knitting, crafts, camping, watching sports and movies, and hanging out with family and friends. 5. Her favorite music is county music, but she loves to listen to 80’s and 90’s music, as well. 6. Dawn’s favorite place to be would be somewhere nice and warm, enjoying the sun and breeze, while relaxing on a beach or camping in a nice country setting. 7. Her favorite food(s) are Italian, Mexican, and Chinese. Her favorite holiday is Thanksgiving. 8. Dawn’s favorite movies are: Bad Boys (1 & 2), as well as Rush Hour (1,2 & 3). 9. Her all-time favorite TV show was ER and her two favorite current shows are Code Black and Night Shift. 10. At one time, Dawn was going to school to become a nurse, but then life happened as it usually does, and ended up in the legal field. She accepted a legal assistant position with a local firm in the estates, wills and trusts department in 2000. In the 16 years since then, her legal experience has expanded to her present role as a Paralegal with the firm.